Going to the beach; spoiling my Australian Shepherd, Jovi; visiting craft breweries and attending craft brew festivals; watching “Friends” on repeat; and working out as a “Maxer” at the Max Challenge. “Finish each day and be done with it. You have done what you could. Some blunders and absurdities have crept in; forget them as soon as you can. Tomorrow is a new day. You shall begin it serenely and with too high a spirit to be encumbered with your old nonsense.” —Ralph Waldo Emerson. Cait’s sweet spot is healthcare-related communications, with in-house and agency experience in hospital marketing, pharmaceutical advertising, and academic medical research. She started as a marketing specialist with Meridian Health, where she ran a mammography awareness campaign spanning 41 communities. 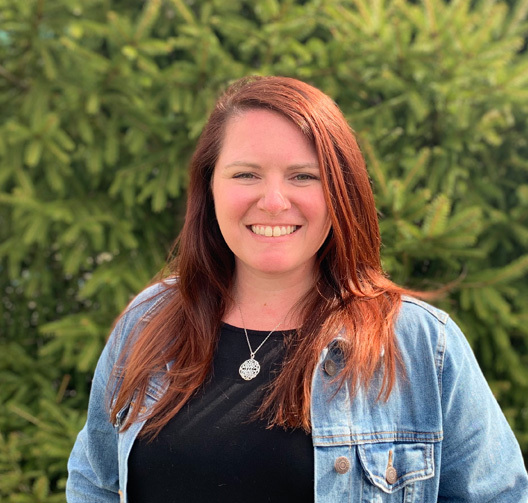 As a senior account executive at Patients & Purpose (part of Omnicom Health Group), Cait managed the relationship between a large pharma client and internal agency departments. This self-described Jersey Girl (it’s pork roll, not Taylor ham, Cait insists) has a bachelor’s degree in communications from The College of New Jersey and a master’s in corporate and public communication from Monmouth University. Cait came to Taft from Rutgers University, where she was a senior public relations specialist focused on biomedical and health/medical research. You’ll often find Cait at the Shore or a craft beer festival, unless this lifelong fan and season ticket holder is in the Meadowlands rooting for the Jets.